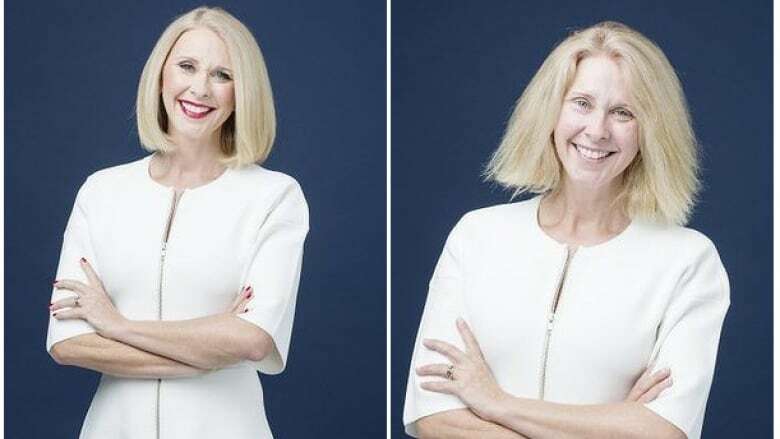 Tracey Spicer, Australian TV personality, is weaning herself off what she calls "extreme grooming" in a bid to change perceptions about female beauty. The 40-something mother of two shared before and after pictures and the motivation behind the transformation in an editorial in the Australian Daily Life publication. "I've felt exposed. But I battle on, without my armour, because I want this to be the new norm," said the longtime TV news anchor. "After 30 years in television I'd become what I despised: a painted doll who spent an hour a day and close to $200 a week putting on a mask." Spicer also admitted that people are looking at her strangely now that she's eschewed the daily ritual of hair straightening, heavy makeup application and body bronzer. She has also stopped shaving her arm pits and plucking facial hair. Spicer's personal mission started one year ago when her 7-year-old daughter asked her why women wear makeup, and men don't. Her campaign got a boost when she appeared in a now-viral TEDx talk in which she wiped off her makeup and kicked off her high heels. "I am a vain fool," Spicer admits in the video, before launching into an empowering speech that ends with her barefooted and barefaced in front of a cheering audience. It's been viewed more than 900,000 times since it was posted in January. Spicer’s revelation comes after fellow Australian TV host, Karl Stefanovic, revealed that he wore the same suit for a year as a kind of sexism experiment. "I'm judged on my interviews, my appalling sense of humour - on how I do my job, basically. Whereas women are quite often judged on what they're wearing or how their hair is," said Stefanovic in an interview with Australia's Fairfax Media. As for Spicer, she plans to stop shaving her legs next, and eventually stop what she called "the biggie": dying her hair. "Sadly, I don't have the confidence to tackle that one yet, said Spicer. "And I'm still trying to work out whether I could keep my job as a TV news anchor without wearing the "uniform".